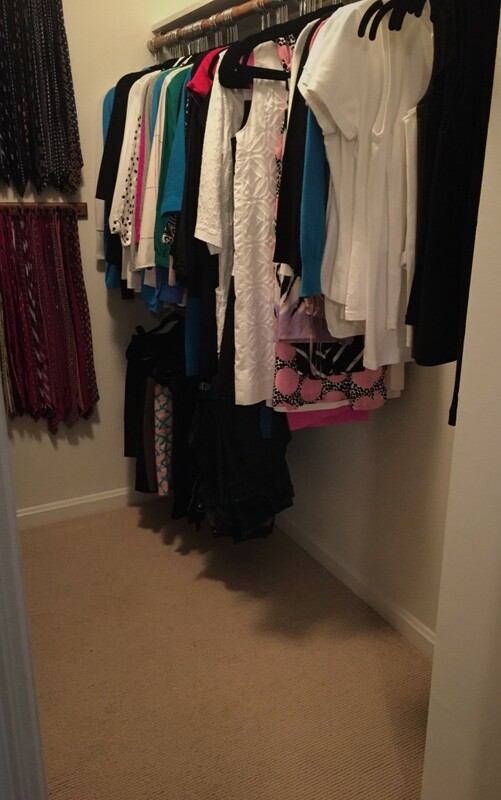 This week’s before and after seems like minor changes but made a big impact to this client’s closet. 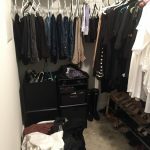 As I mentioned last week she and with her husband share a closet so we had to get creative and take advantage of every bit of space. 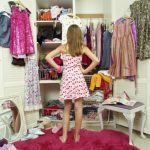 After she purged her clothes we changed the hangers, moved her shoes to the new accessories armoire in the bedroom and rearranged the long hanging. 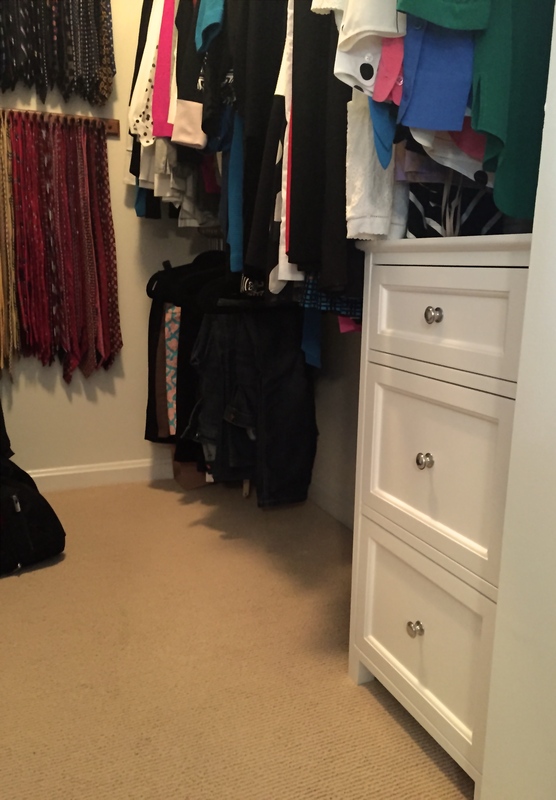 She needed drawers in her closet but we had to be careful of the depth so it would not interfere with the space walking in and around the closet. 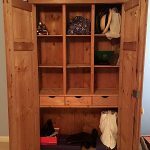 This Springfield Cabinet from Grandinroad was the perfect fit and a great price. It was also the exact depth and extremely sturdy for a small piece. Down the road she could purchase another if she needs more drawer space and put them side by side. 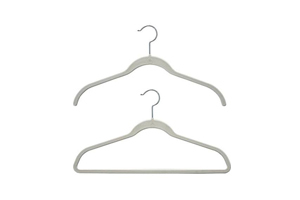 This is a multi functional piece that could also be used in a bathroom or bedroom. 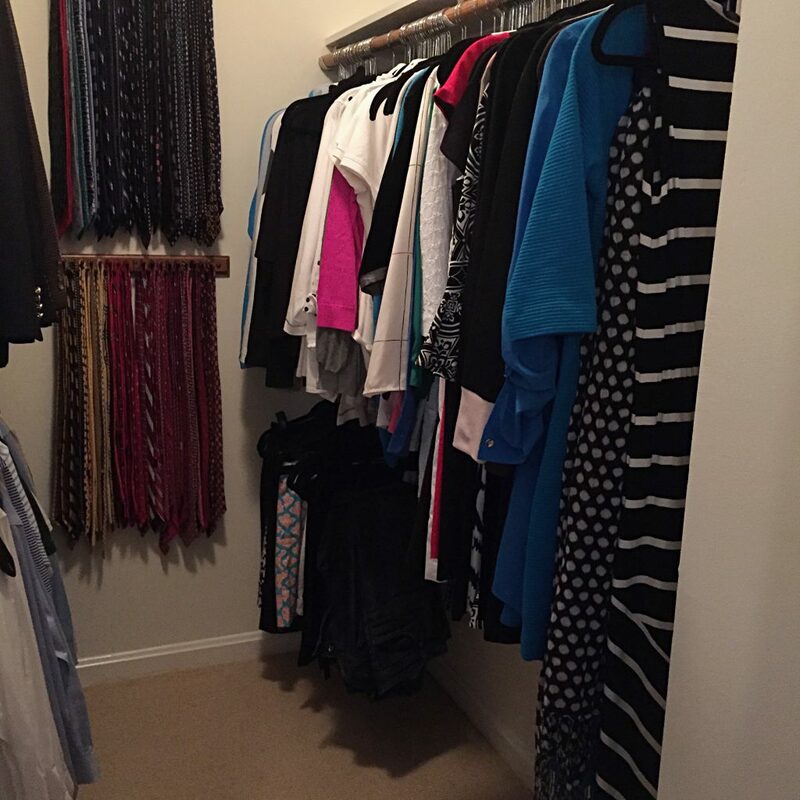 The last photo I had to show you is a small area of wall space when you are walking in the closet. 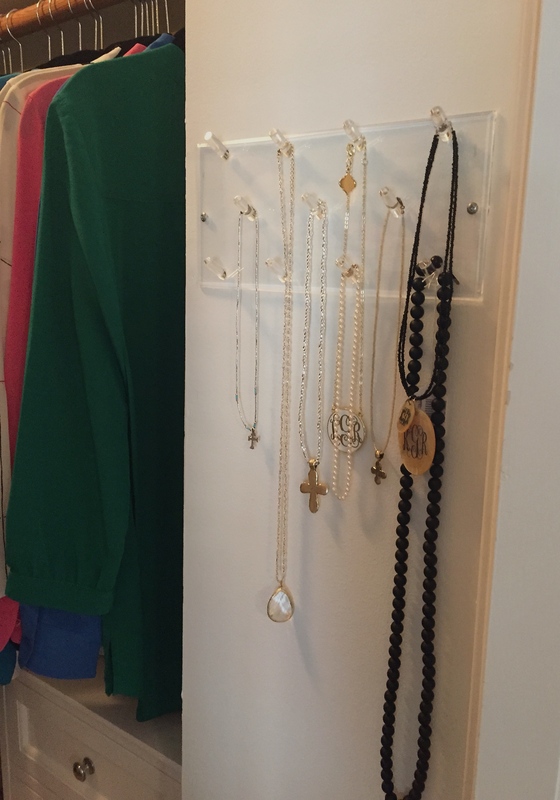 It had a photo on it that we removed and hung this Acrylic Necklace Rack from The Container Store. It was perfect on that small section of wall and it was the last one left in the store so I knew it was meant to be! I hope this inspires you to take a look at what you can do with your existing space. Small changes are sometimes all you need.